Come visit our booth at Children's Day on the Plaza this Saturday! 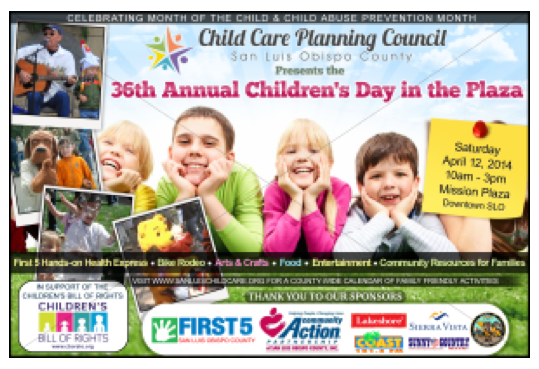 This 36th Annual Event takes place at the Mission in SLO on April 12 from 10am-3pm. 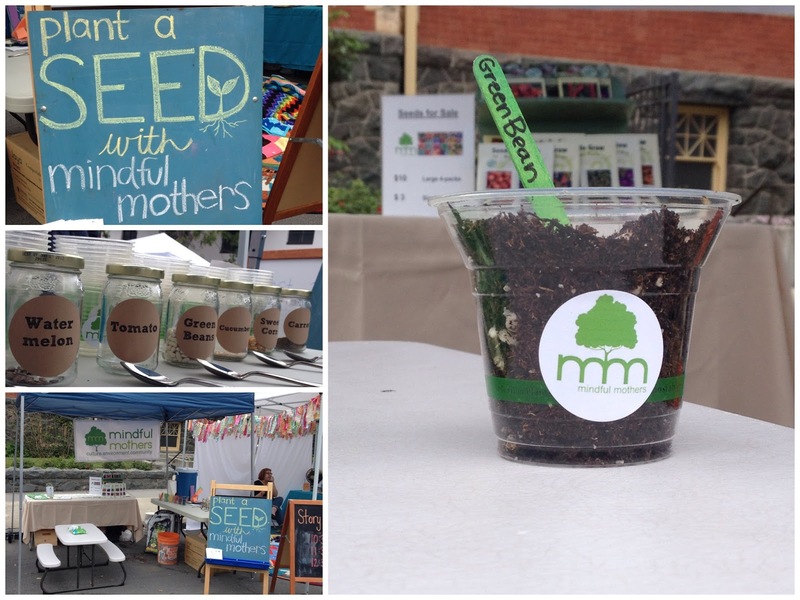 We'll be hosting a Seed Planting activity for the kids and talking about our upcoming events. We are still looking for some volunteers to help with the seed planting, for any hour between 9am-1pm! Let us know if you can help by contacting Cindy Johnson. UPDATE: WHAT A FUN DAY! We loved seeing all of your happy shiny faces, and meeting all sorts of new families! Kids got to get their hands dirty by planting a seed in a clear plastic (compostable) cup; choices included watermelon (the all day favorite), marigolds, green beans, tomatoes, corn, cucumber, or carrots. Thank you so much for coming out to visit us!